350, 4 speed manual transmission, 33,000 miles on the dash, dark red leather interior, crank windows, AM/FM/Cassette, rally wheels, tilt and tele steering column, factory side exhaust, HEI ignition, factory aluminum valve covers, Hurst shifter, and much more. 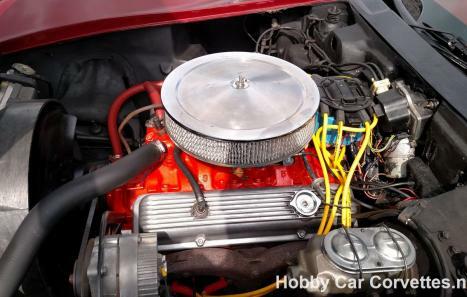 The last owner installed a Griffin aluminum radiator, stainless steel brake lines, brake calipers, master cylinder, clutch kit, emergency brake hardware, and much more. We changed the oil and filter and checked and lubed the chassis. 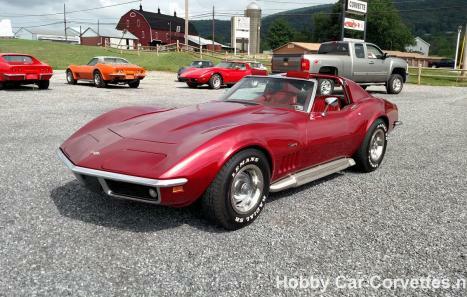 This corvette looks sharp with a great color combination. It also runs and drives very strong with plenty of power. 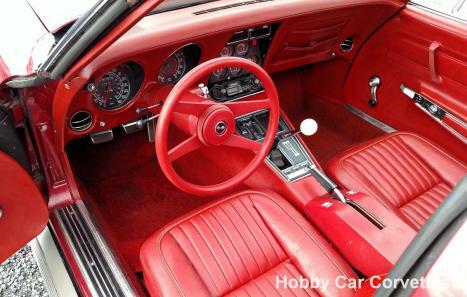 1969 was the second year for the C3 generation corvette. It was the last year for no fender flares, the 3 speed transmission option, and the L71 427/435hp, L88 427/430Hp, and L68 427/400Hp engine options. 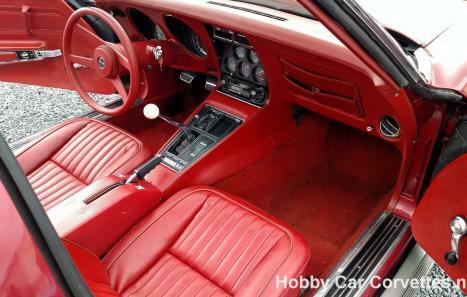 This was the first year that the T-top corvette out-sold the convertible with 22,129 T-tops being built versus only 16,633 convertibles.